Yesterday was the net neutrality “day of action” protest around the internet. Companies and websites posted messages of support for net neutrality, which is imperiled by a Republican-led Federal Communications Commission (FCC). Some sites even provided easy ways to get in touch with your federal representatives to tell them to support net neutrality. However, you probably didn’t expect AT&T to be among them. That’s because it wasn’t — it just used deceptive language to make people think that it was. The battle over net neutrality was fought during the Obama administration under FCC chairman Tom Wheeler. After implementing rules that required ISPs to treat all data equally (the heart of net neutrality), Verizon sued and got the rules overturned. That led the FCC to reclassify ISPs as common carriers under Title II of the Telecommunications Act in 2015. This gave the FCC the necessary authority to impose net neutrality, but this victory for the open internet may be short-lived. New FCC chairman Ajit Pai has begun the process of removing Title II rules from ISPs. With the loss of net neutrality a very real possibility, the day of action was organized to get people engaged. AT&T took the opportunity to proclaim its support for the open internet. 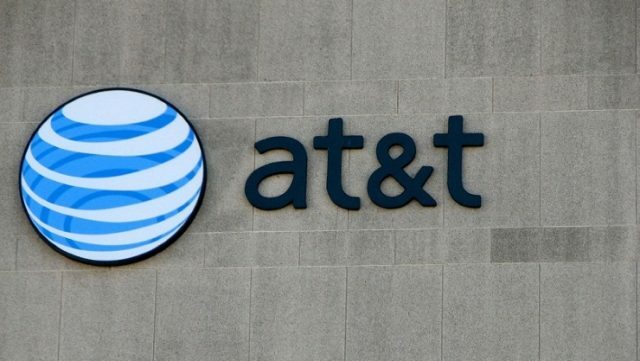 Links posted on the company’s website and pushed to DirecTV subscribers led to a statement on AT&T’s site, which said “AT&T supports an open internet,” but that phrase means something very different to AT&T than it does to genuine supporters of net neutrality. Reading AT&T’s statement, it’s clear these are the same talking points we’ve been hearing from ISPs for months now. AT&T openly supports the repeal of Title II classification, which is antithetical to the goals of net neutrality supporters. It denigrates Title II as an 80-year old regulation, as if that means it’s impossible to apply the Telecommunications Act to the modern world. In fact, the FCC tailored its net neutrality regulations to ISPs after reclassification. AT&T goes on to urge Congress to act by producing legislation to support the “open internet.” It seems very unlikely that would happen, considering this is the same Congress which just killed rules that prevented ISPs from selling your data. AT&T’s site with the deceptive net neutrality email tool. As outrageous as this behavior is, AT&T is not alone. Both Verizon and Comcast posted similarly deceitful statements. AT&T really took it to the next level by including a widget to send form letters to the FCC and your congresspeople. Unlike the letters from legitimate net neutrality supporters, this text supports the ending of Title II regulation and the fairytale of Congress taking action on net neutrality. The text says Title II is “harming the internet economy” because it is an “80 year-old regulatory scheme.” The text cannot be edited, either. This whole thing is disingenuous to say the least. If you hadn’t read carefully, you might have thought AT&T was actually trying to protect the open internet rather than destroy it.